The Medigap insurance scam is simply another example of spam intended to lure those in need of a service into a financial trap. Within the past week alone, I’ve received about fifty of these emails and they all follow a similar pattern. Medigap Coverage Information for my email address listed. Due to the Healthcare Reform Act, healthcare carriers are now offering savings of 40% on Medicare Coverage. Receive savings from top national providers including UnitedHealthcare, AARP, Aetna, Humana, Cigna. 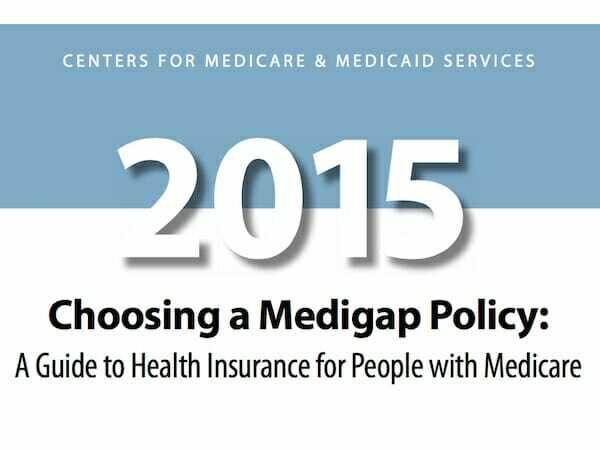 Medicare defines a Medigap policy as “a type of private insurance that helps you pay for some of the costs that Original Medicare doesn’t cover.” If you’re interested in buying a real Medicare supplement policy, you should first take a look at Medicare’s Choosing a Medigap Policy pamphlet. It’s available as a free download from Medicare. Try scrolling to the bottom of the email. Every version I received had a single paragraph of text at the bottom. Topics in that text ranged from recommendations on places to stay, great gluten-free deserts, and other wildly unrelated subjects. Your email program should let you view the email address of the sender, which will most likely come from domain names such as “innmedicalcarethug.us”, “groundmedicareplan.us”, or “healthcarepork.us.” Note that all of these are “.us” domains, which should be a clue that this is not a mainstream company. Most of the emails will have a short deadline. This is a standard ploy used by scammers to force you into making a decision without thinking through their offer. As always, never click a link in an email that is from someone you don’t know. Also, if you do decide on Medigap insurance, be sure you’re dealing with a reputable company. You can always run a check on medicare supplement brokers and insurance companies at bbb.org. On a slightly different note, I sometimes get calls [as I did yesterday] from someone offering to help me “fix the problem with my Windows program”. They then want me to go to my computer, log on and follow their instructions. I can, of course, hear the other thickly accented people in the boiler room offering to help others in the same way. My approach in this situation is to talk about the special skills of their mother, sister and even their father in graphic detail until say that I am disgusting and hang up on me. This is, perhaps, a shoddy way to get a cheap thrill, but it gives me the chance to exercise a part of my vocabulary that I don’t often get to use in polite society. Thanks for the laugh, Tom. As much fun as that might be to do, I donʻt think my blood pressure could take it! 😀 Too much fun for this guy. I also liked my motherʻs approach. “Oh, that sounds really interesting. Let me go get a pencil.” Sheʻd then put the handset on the table and walk away and let them hang on until they gave up. Sometimes I will ask them to hang on and then pick up my flute and start practicing scales until they wither and die. It seems like these emails start to occur after someone joins AARP. The mails are so hard to recognize sometimes as bogus. Watching for that dot.org domain is so important to remember. Thanks for the reminder, Terry.